GameFreak has tried to equalize the playing field over the years, but they've failed. The bad: They're new to the party so they haven't earned their stripes. 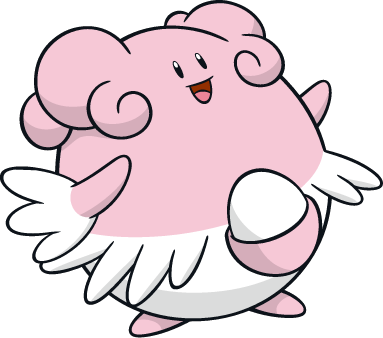 There are also an inordinate number of baby Pokemon in the lineup -- we need more badass fairies. 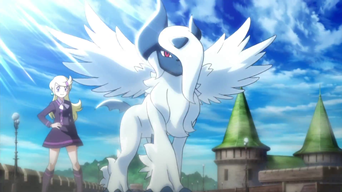 Luckily, Mega Altaria will be a thing. The good: Some cool designs, some ridiculous movesets, some godly walls. The bad: Normal types are never the answer to a problem. Sure, they'll get the job done for you in a hit or two, but you're never like "Oh, this would be the perfect situation to send in my NORMAL type." Ever. The good: They look cool, they're speedy, they're strategic. Who doesn't love using a good U-Turn every now and then? The bad: Ah, the bug type: The original underdog. The years have been relatively kind to bugs for the most part, but the progress they've made are largely due to their secondary typings complementing them well. On their own, bugs are easily checked, and a good chunk of them are perpetually stuck in the "can't get past early game" zone. The good: There's a lot going for the Steel type. It's defensive, it's versatile, and it's way cool. 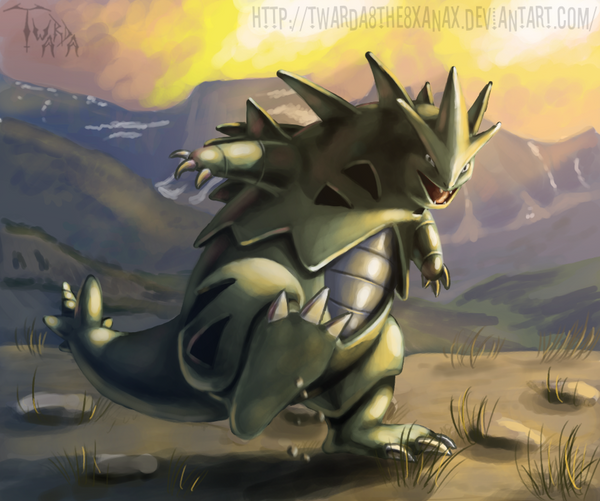 All Steel-type Pokemon look awesome. Well, almost all. The bad: Here's what the Steel type deals super-effective damage against: Ice, Rock, and recently, Fairy. That's it. Am I getting a Steel type to deal with these things? No. I'm getting other types to deal with these things. More on that later. The good: Top-of-the-line defense, some really nice offensive move options (Stone Edge, Rock Slide), and all fossil Pokemon are part Rock. That counts for something in my book. I mean LOOK AT THIS THING. IT COULD WRECK YOU. The bad: Oh man is Rock easy to check. A bunch of common types, both offensive and defensive, absolutely wreck Rock, and in the early games this was even worse: Where Rock excels at defense, aforementioned common types were (and still for the most part are) specially-based, making the defensive edge practically moot. The good: As offensive types go, you can't do much better than Ice. The ubiquitous Ice Beam is one of the best attacking moves in the game, reliably dominating common threats such as Dragonite and Garchomp, who have 4x weaknesses to Ice moves. Being frozen is never fun, either, especially in the early games where it was impossible to become unfrozen without the use of an item. And in Pokemon Stadium, where you couldn't use items... Well, let's just say I still remember the sight of my frozen Zapdos in the Elite Four and how helpless it made me feel. That was in the year 2000. The bad: As defensive types go, you can't do much worse than Ice. It's frail and it's weak to very common types. The only use of having an Ice-type Pokemon as opposed to an Ice move on another type is STAB, which is... not enough of an incentive. The good: Poison was always a great defensive choice, and it now deals super-effective damage against Fairy, which makes it way more usable as an offensive type. Moves like Sludge Bomb, which dealt decent damage but weren't ever the go-to choice, now have a secure spot in the lineup of common attacks. And of course, Poison status is a really effective way to shave off extra HP. The bad: Even with the new Fairy check, Poison types aren't that useful on the whole. 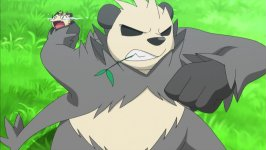 Almost every single Pokemon can learn Toxic, which doesn't benefit from STAB, and Poison's other strengths are well covered by other, more versatile types. The good: I mean, this. (I know, it's also a Poison type, but it's always referred to as the Grass starter, and all the other Grass starters have just been Grass to start off, so... Anyway, it's Grass.) Grass types look good (um, often), are easy to maneuver, and often have strong offensive and defensive qualities. 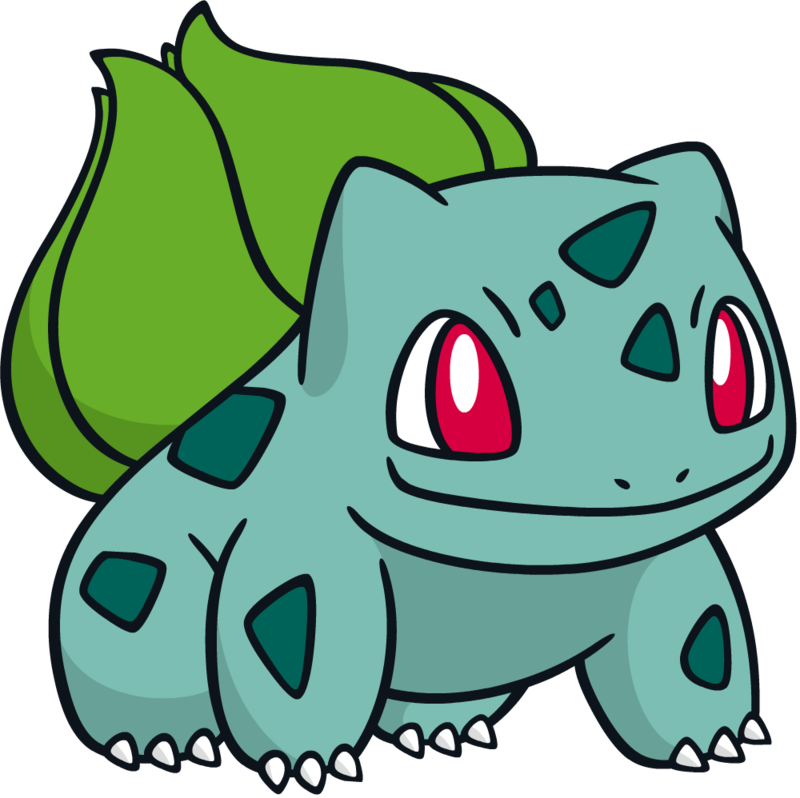 And there's a lot of love for the Grass type: In his youth, my brother had a Bulbasaur named Bulby, and you can bet your Game Boy loving keister that thing made it all the way to level 100. 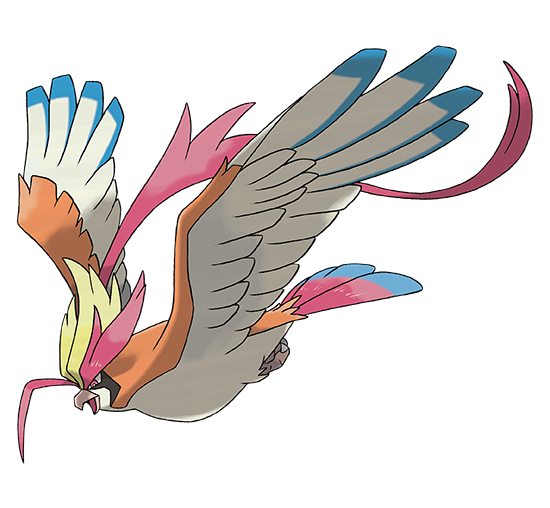 The bad: It's not too hard to clip a Flying type's wings. They're not very defensive, so they struggle a lot with longevity: In fact, you're lucky if your flyer can survive two good hits. 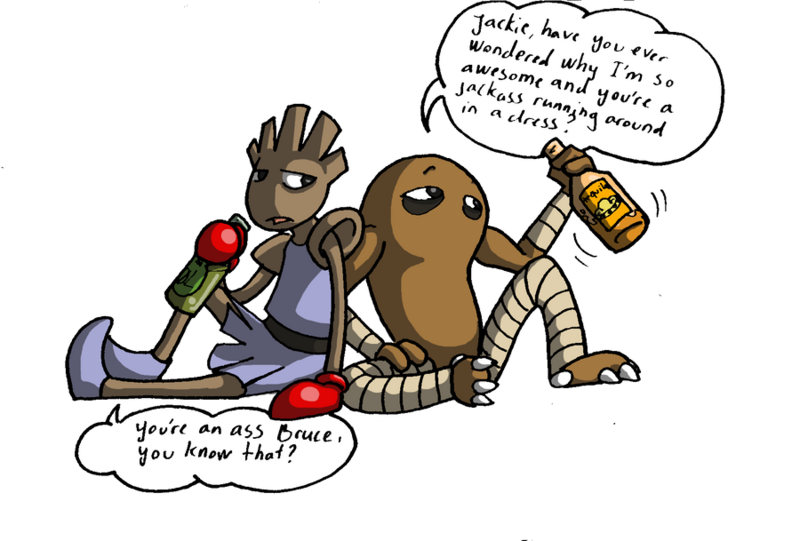 Also, a lot of them have a primary Normal typing, which nullifies their resistance to Fighting. All Flying types (except for Tornadus, but Legendaries aren't really a thing, right?) have a second type, which gives them a bit more versatility on the field, but usually these typings aren't enough to save flyers from a short match life. The good: Well, one of my personal favorite Pokemon is this suave mofo, but that's neither here nor there. Electric types are reliable team members: They're fast as - well, lightning, they hit hard, and they can take a few knocks before they're done with you. 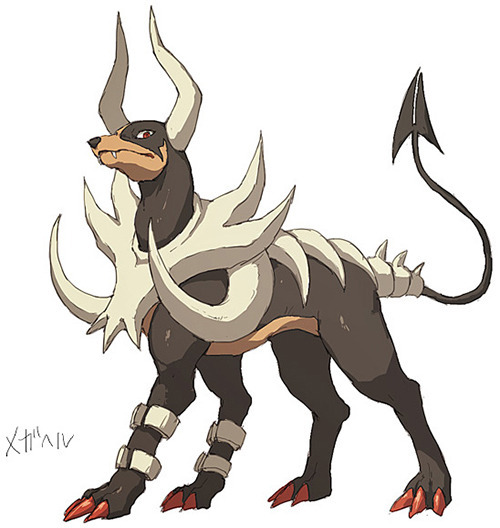 Paralysis is a great status to use with an Electric type because they get in fast and can work with pretty much anything but Ground, the only type to which they are weak. The bad: Electric types are not bulky enough for comfort, so they do require proceeding with caution. And the more bulky Electric Pokemon lose the all-important speed element, which kind of defeats the purpose of having one in the first place. And there's the fact of Pikachu being part of this group. 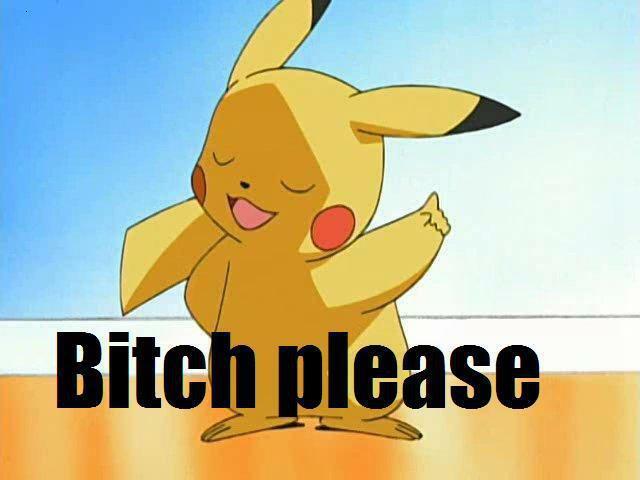 Look, Pikachu (or Raichu) isn't a particularly bad Pokemon, but it isn't a particularly good Pokemon, either. It isn't even particularly cute: Eevee, Vulpix, Charmander, Squirtle, Bulbasaur, and Growlithe are all way cuter than Pikachu. Heck, they're all way cuter than Pichu. Pikachu may be the poster child for Pokemon, and that's nice, but it's contributed to a generation of people believing that Pokemon is chiefly for girls under the age of 7. To those people I say: Would a 7-year-old girl use this on a team? I think not. The good: Earthquake. And that's a really good thing. Earthquake is arguably the best move in the game, and Ground types use it best. They hit really hard, often have strong defensive typings, are pretty easy to find, and some starters even get the Ground type when they evolve. And they all look really good. There aren't even any derpy ones, are there -- OH MY LORD MY EYES GET IT AWAY. Ahem... Right. I stand corrected. The bad: Ground types are cool, but they're not the pinnacle of cool in the Pokemon world. You want to do some wrecking, sure, you can send out a Ground type and do some damage. But even the most threatening-looking ones have a cute factor. 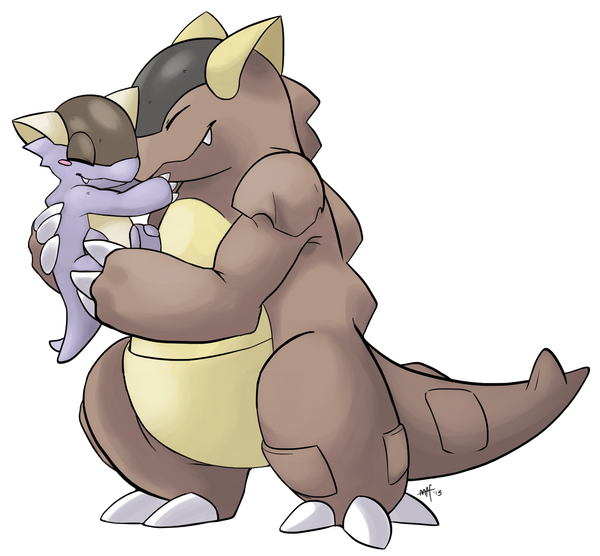 The good: Psychic types were virtually uncheckable in Generation I, giving them a massive head start against every other type. Nowadays, Psychic has plenty of serious threats to contend with, but it's still pretty darn solid. A good chunk of Legendaries are at least part Psychic type (despite their not being a thing and all), the designs are really inventive and varied, and who doesn't love going into battle with an Alakazam and wrecking Team Rocket's Zubats and Koffings up and down? The bad: Glass. Cannons. Not all Psychic types go down immediately, but a huge chunk of them do, and defensively they're nothing to write home about. 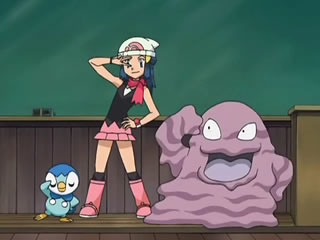 Resistances to Fighting and Poison are practically useless -- especially with Ghost running around -- and let's not even talk about what happens if they meet a Dark type. You can really only send your Psychic type in if you're absolutely sure you have the advantage. The good: Dark is a totally badass type. It's probably the badassest of the types, objectively speaking. So many cool designs to brag about, total immunity to Psychic, and did I mention those cool designs? Go kick some tail in battle with this, or this, or this. The bad: Weakness to Fighting is rough, especially with a bunch of Psychic/Fighting types out there. (It's also now weak to Fairy.) Dark can bring the pain on Ghost and Psychic, but that's a pretty niche market. Unfortunately, just looking cool doesn't always cut the mustard. The good: Design, design, design. Dragons are SUPER cool: Everybody loves Flygon, Dragonair, Mega Charizard X, you name it. Once upon a time, Dragon was the rarest type, giving it a special allure. Now, dragons aren't exactly a dime a dozen, but it's possible to build a team with one fairly early on in the game. Dragon resists a bunch of common types: Fire, Water, Grass and Electric, giving it a nice competitive edge. 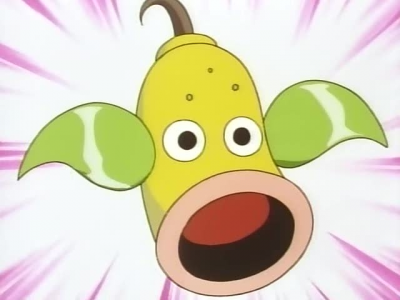 But again, it's all about the way these Pokemon look. Not one Dragon looks like something you wouldn't want to use on a team (well... this kind of looks like a six-year-old's drawing). 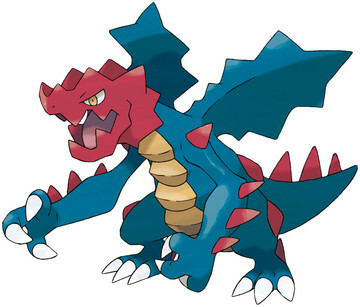 The bad: Almost every single fully-evolved Dragon type has a 4x weakness to Ice. That's a massive nerf. 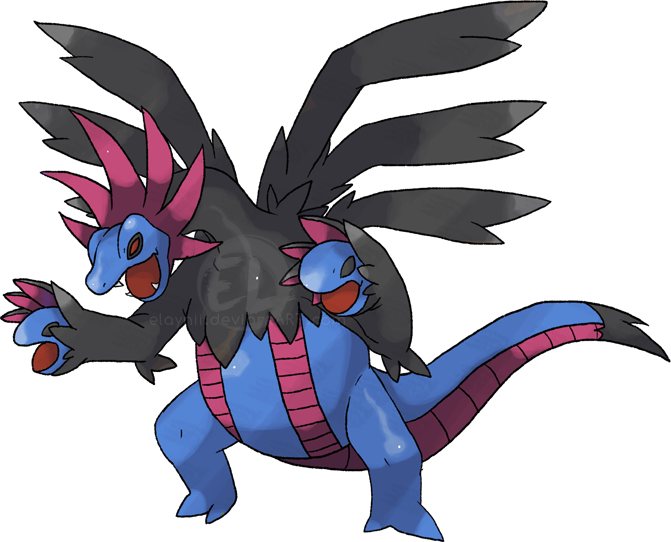 And with the introduction of Fairy, Dragon has a massive threat to contend with -- Dragon-type moves do zero damage on the little buggers. Offensively, Dragon is only good against itself, which means you have to be fast and strong to emerge victorious. Why not just grab an Ice Beam TM and stick it on a special attacker? Statistically, it'll probably do more damage anyway. The good: So many things. Immunities to Normal and Fighting, some awesome strategic moves (Destiny Bond, anyone?) and dem designs. Ghosts are just straight-up awesome: Stick a Gengar on your team and watch as it outspeeds and special attacks the crap out of everything. Or go with Sableye and use its Prankster ability to get priority Will-O-Wisps off all day long. How about sending out a Shedinja in a clutch situation to full-stop your opponent because they can't get past your Wonder Guard? There are so many ways to play with Ghost types, and all of them are sure to delight. The bad: Ghost is the rarest type, which makes it tough to find one that will perfectly suit your team. Often you need to plan a team around your ghost, not the other way around; they're high maintenance that way. If you're the type of person who knows how to use a ghost, you could make an excellent, full-bodied team of them, but they're not particularly user-friendly on the whole. The good: Fighting is the only type that does super-effective damage against Normal-type Pokemon. That is a massive plus. Having a check to Normal types makes in-game much more fun (oh hay Meowth, imma KICK YOUR FACE IN), and Fighting has some pretty great checks to add to Normal: Ice, Steel, Rock... Hey, remember that time I said Steel is only super effective against Ice and Rock (and Fairy)? Cool. So you know what else is super-effective against Ice and Rock? Fighting. 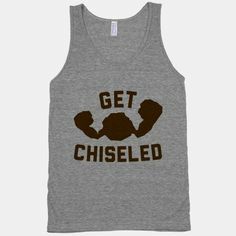 Oh, AND it's super-effective against Dark. You'd think there are really bad moves for such a strong type, right? WRONG! On both sides of the physical/special split, Fighting moves are ubiquitous: Focus Blast, Brick Break, Close Combat, Aura Sphere, Drain Punch... the list goes on. Truth be told, Fighting might very well be the best offensive type in the game. The bad: The designs are fine, but a little one-note. 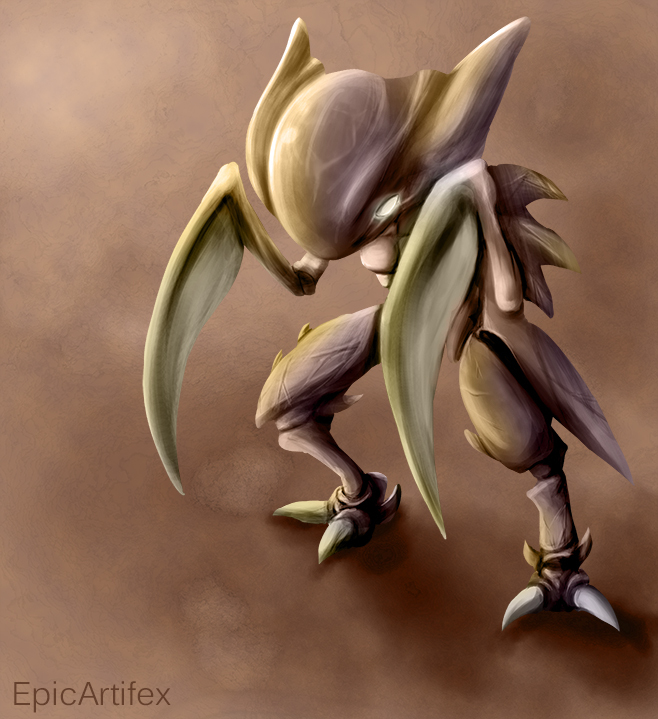 How many more humanoid creatures do we need in the Pokemon world? 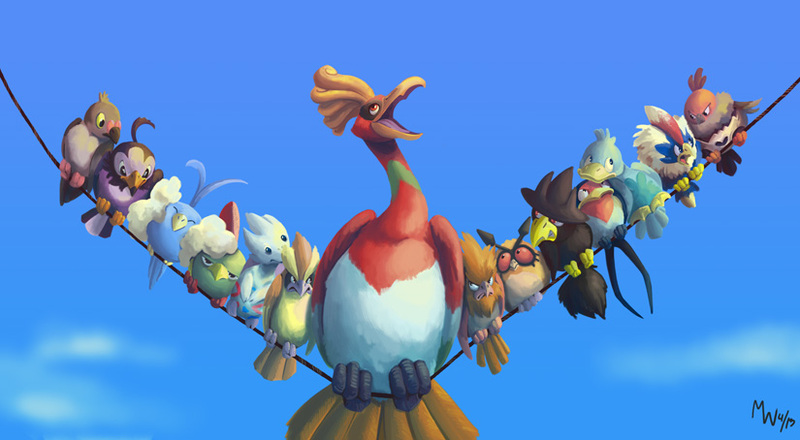 And don't get me started on the Gen 3, 4 AND 5 Fire starters: When Delphox ended up looking like Victini's mother, nobody even cared -- at least it wasn't a Fighting type. It's also not the best defensively: Most Fighting types will fall after a hit, two if you're lucky. The good: I'll admit it: I almost put Fire at number one. The last ounce of objectivism I have held me back. But let's be real: Fire types are frickin' sweet. Every single one. Every. Single. One. Whenever I play Red/Blue (or FireRed/LeafGreen for you young'uns), I always have a crisis of whether to pick Charmander because there are so many other kickass Fire types out there. Would you like a massive tiger-dog to breathe fire at your enemies? How about a regal fox of legend? Or maybe a HORSE WITH A FLAMING MANE suits your fancy. Let's all just take a second to appreciate how much Fire types rock. They're fast, they're powerful, they take down Steel and Grass and Ice and Bug, their move sets are varied, their designs are just insane (I mean: just take a moment and really LOOK AT THIS THING. Fire may as well be spelled R-E-K-T. And don't get me started on Charizard, the Pokemon who founded badassery. The bad: They don't last long in battle. It's true. They get in, do damage, and get out -- that is their function 90% of the time. They have many common weaknesses (most notably to the type slotted in Numero Uno), and they don't give much room for strategic play. The good: You would be hard-pressed to find a team -- competitive or not -- that does not feature a Water type. Water types are as balanced as you can get. They're relatively easy to raise, relatively easy to use, pack a punch, take hits, have move sets to cover all their weaknesses, resist important attacking types, basically do everything the other types lack and sometimes do it even better. So many times I have fired up a new game and been positively flabbergasted by how well my Water type performs. Whiscash wrecks? Who knew! Tentacruel is a tank? Fabulous! 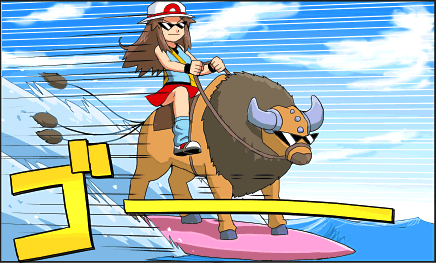 Many veterans of the game will no doubt fondly remember taking on the Elite Four with a Blastoise who knows Surf and Ice Beam and letting all other team members assemble perfectly behind it. Water types are the cornerstone of any strong Pokemon team. They dominate, and they look good doing it. That is why they are the number one Pokemon type. Definitively. The bad: Not... Much. Too many of them? Not as collectively cool looking as some other types? Maybe. And there are some clinkers in this bunch, no question... Luvdisc, Feebas, and Magikarp are the three that come to mind immediately. 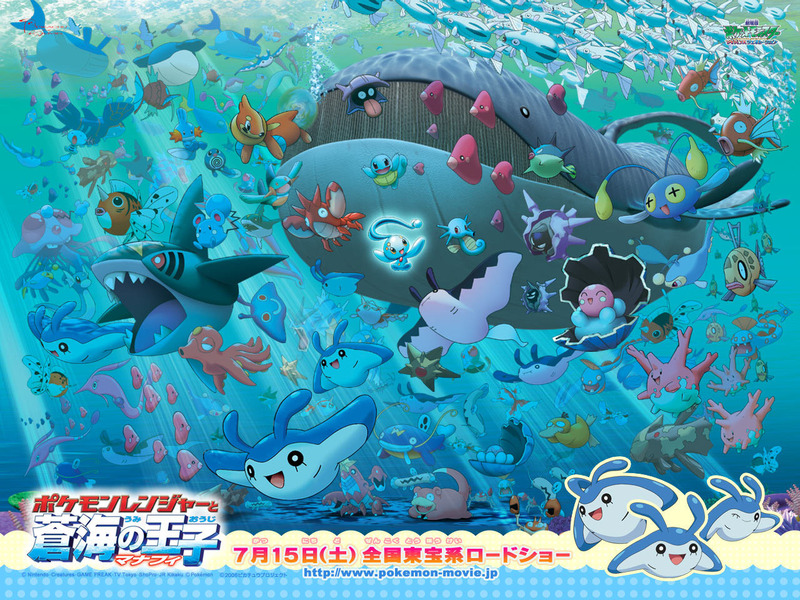 But then there's Lapras, Milotic, Gyarados, Kingdra... Case closed.